Behind the scenes: how your uni application is processed - Which? After all that time spent researching courses and redrafting your personal statement, you've sent your university application off - and it's all gone very quiet. Should you be worried? We asked admissions tutors from different universities what happens between them receiving your application and that eagerly anticipated Ucas Track update, as well as what makes your application stand out. How is my uni application processed? You may be wondering how long it will take for Ucas to process your application. As soon as you hit submit on your application, Ucas will fire this off to the universities you've indicated on your application. Now it's down to those universities whether to make you an offer or not. The journey your application makes once it's received by an institution varies slightly depending on both the uni and the course, but typically it'll be seen by more than one pair of eyes – often by both general admissions staff and academic tutors. What are university tutors looking for? 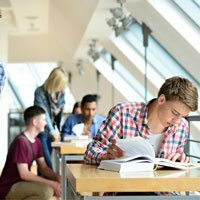 How long does it take for unis to make offers? There's no hard and fast rule when it comes to hearing back from a university - check out our guide on how different universities or departments approach this. Applications for certain courses can take longer than others. For competitive courses like medicine and dentistry, or those requiring an interview or audition, it's likely it'll take universities longer to respond. Leeds Trinity University: 'Decisions take longer for programmes where an interview is mandatory - primary education, journalism and some sports courses, for instance. However, all the universities we spoke to said that there are certain times in the year when they may take longer to respond, due to the volume of applications. Sometimes applicants don't meet the criteria for the course they've applied for, but might be suitable for another course.